Surebridge was set up in 2011 by Simon and Helen Errington to provide consultancy services in the areas of rail systems and safety engineering, with a particular focus on ETCS. Simon has experience from working on the introduction of ETCS to the UK railway, as well as many new computer-based interlockings and VDU-based control systems, acting both for the supplier and as an independent safety assessor. 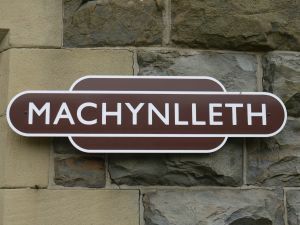 He was responsible for obtaining safety approval for the Cambrian ETCS Level 2 scheme which was the first implementation of ETCS by Network Rail, and has continued to work on the authorisation and approval of ETCS schemes. Surebridge Mountain lies in Harriman State Park, around 30 miles north of New York. On the 12th October 1993 it was the venue for the Classic distance race at the World Orienteering Championships. The race has gone down in orienteering history as one the most technically challenging ever staged. Most memorably from a British viewpoint it saw the first ever medal for a British runner with Yvette Hague winning bronze. I was there that day, as you can read. In 1996 the area was used as part of the US 6-Day Event that Helen and I attended whilst on honeymoon. This followed on from the Canadian Championships and Helen has pointed out that we could have ended up with Grimsby Palace as a company name. Apart from the orienteering connections, Surebridge also has the advantages of not having any similar name registered at Companies House, and being a strangely appropriate name given the area of work we are in. Predictably I have been asked about the logo. I had vague ideas about some sort of bridge. Helen wanted autumn colours. So at present we have a red/orange colour scheme and an image based on the Welwyn Viaduct. This was somewhat accidental and came about after a Google search for bridge pictures. However it is only 10 kilometres from home so it has a nice local connection. I had a sudden panic that a viaduct wasn’t technically a bridge, but Wikipedia starts out with “A viaduct is a bridge composed of several small spans” so I must be OK. It has become even more relevant recently as people start discussing whether ETCS could improve capacity across it without the need for an extra track. The Welwyn (or Digswell) Viaduct carries the East Coast Main Line over the River Mimram, and was opened in 1850 by Queen Victoria. It is around 475m long and comprises forty arches of 9m span, and is 30 m high from ground level to trackbed. It was designed by William Cubitt and styled after a Roman aqueduct.